Become part of the largest professional society of fisheries scientists in the world. Show that you believe in the importance and future of the fisheries profession by being part of the oldest, largest, and most influential association of fisheries professionals in the world. The American Fisheries Society stands ready to help you invest in your future! Benefits to joining AFS include subscription to monthly Fisheries magazine; special member prices for AFS Annual Meeting registration, journals and books; networking opportunities with other fishery and aquatic resource professionals; access to the Society’s Jobs Bulletin on the Web; and as a student member, your membership allows you to apply for student travel awards and scholarships. 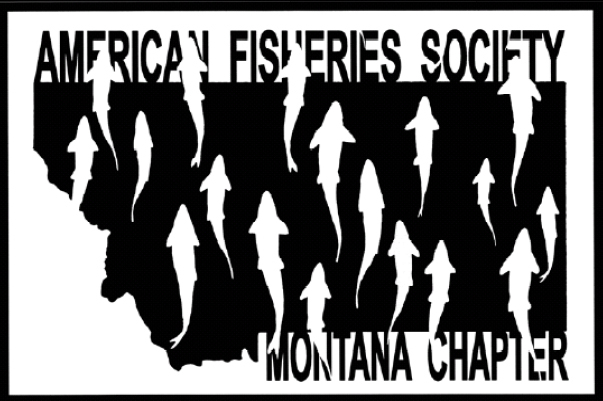 When joining AFS, be sure to check the box and join the Montana Chapter for only $10 more. You will be a member of the oldest, largest, and most influential association of fisheries professionals in the world. It is the incredible diversity of the Society’s membership and the many scientific and professional subdivisions of the field of fisheries science and management that makes membership such a value. AFS was the first society of fisheries professionals when it was formed in 1870, and with a current membership of 9,000, it is the largest such organization. Whether the field is fisheries management, fish culture, or even fisheries history, there is a bond of interest that members of the particular sections share, and this network can help them find information, compare research designs, tools, or results, and collaborate in research and reporting results. There are 21 sections to choose from, and many members belong to several sections, reflecting their different professional interests. AFS publishes the most prestigious peer-reviewed fisheries journals: Transactions of the American Fisheries Society, North American Journal of Fisheries Management, North American Journal of Aquaculture, Journal of Aquatic Animal Health, and Marine and Coastal Fisheries. AFS publishes a variety of books covering the full spectrum of topics of interest to fisheries and aqutic scientists. The annual membership dues provide a significant portion of the revenue needed to produce the Society’s publications. A large cadre of members volunteer their services as editors and peer reviewers to ensure that the Society publishes only the highest quality science. AFS provides a strong voice in policy deliberations affecting the interests of its members and the resources members seek to conserve. AFS has an international reputation for being the premier science-based organization dealing with fisheries, and collectively we speak for this resource at every level of government. Because the Society focuses on peer-reviewed science, the public at large knows that when AFS makes a presentation on any particular issue there is no hidden political agenda. There are opportunities for AFS to take a stand or to influence legislation, but when this is done, the focus is on what is best for the resource rather than on some other goal. AFS sponsors the largest and most prestigious annual meeting of fisheries professionals in the world. The periodic chapter and division meetings and the Society’s Annual Meeting are great places to network with others. Many section meetings take place during the Annual Meeting as well. AFS is like a big family, and each gathering is like a family reunion; you often find new folks who share your interests and backgrounds, and these people then become part of your extended family. AFS sponsors and facilitates symposia addressing critical issues confronting fisheries and aquatic science and management. Your membership gives you reduced registration fees for the Annual Meeting and symposia. You save money with reduced rates for journals and books. Your membership provides a free subscription to the AFS monthly magazine Fisheries. Your membership permits you to apply for certification as an Associate or Certified Fisheries Professional, at reduced rates. Your membership gives you access to the Society’s Jobs Board on the web. As a student member, your membership allows you to apply for student travel awards and scholarships. You get access to the members site on the web with the full text of Fisheries, the Membership Directory, and more. The Society’s publications are an excellent medium for letting people know about your research. Serving as an editor is also a good way to keep current and help shape the discussion of issues within the fisheries profession. You can deduct your dues and contributions from your income tax. Show that you believe in the importance and future of the fisheries profession by being part of the oldest, largest international fisheries science society in the world. The American Fisheries Society stands ready to help you with all of your efforts to improve your professional knowledge, status, and to sustainably manage and conserve fish and aquatic habitats. Invest in your future! Join the American Fisheries Society!